There is no real respect without truth. This is where you are respected enough that you will get the truth you deserve. There is too much misinformation about gangs, about drugs, about thugs, and about the “street code”. Additionally, abuse of women and children need to be condemned not just for the violence. They also need to be condemned because of where they lead. 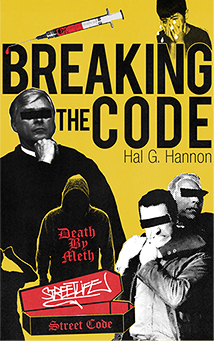 It is my hope, through the publication of the short homilies in Breaking the Code, as well as short, informative pieces, to help you to be more aware of the root causes of all those societal problems and the devastating consequences of them on your family. In doing so, I might report on public figures who are failing in their duties. Or I might discuss institutions that are failing to serve the public or honor the public trust given them. I might also inform you of specific criminal activities. Or I might zero in on a single crime, or talk with you in broader terms that may relate, in general, to gangs, drugs, crime, family, addiction and/or abuse. Will I offend you and/or others as I do this? Yes, most certainly. I don’t do it to offend you though. I do so in the hope that your deeper understanding of these situations will allow you to examine your own actions. The goal is to give you perspective as to whether your actions mean that you are part of the solution or part of the problem. Hopefully, thereby it will lead to a more fulfilling life for you and for those whom you love, not to the disaster that too many experience. I also do it in hope that those of you who are parents will gain some insight into the perils that your son or daughter might face. It is this insight that will allow you to equip your son or daughter with the knowledge and understanding that he or she will need to avoid becoming part of the gangs, to avoid becoming involved with drugs, to avoid being an abuser or an abused individual, and to allow them a fair opportunity to find contentment in life. There was no social media bullying you or pressuring you to bully. Drugs, although they were around, were not readily available to every kid as they are today. There was nobody on the internet trying to feed any discontentment you might have had and build that discontentment into a festering rage or hatred. There was nobody coaching you in how to commit suicide or in how to commit acts of violence. Predators lurking around chat rooms were uncommon. They were not the expected norm, as they are today. 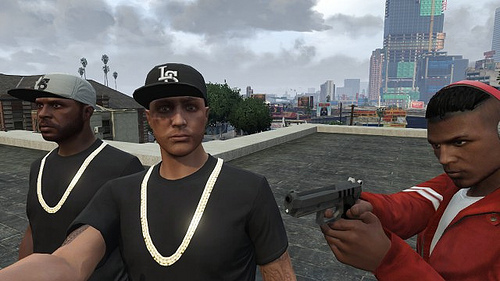 There were no gangs recruiting at schools. Each generation comes with its own built-in perils and each former generation has the responsibility to understand those perils if that former generation wants to be able to protect and nurture its children. As a parent, you have a greater responsibility than to just feed and house your children. You have a responsibility to prepare them for life and to be a good role model. It is my hope that the knowledge you gain through understanding the world of gangs, crime, street life and abuse will help you understand how to be the best parent that you can possibly be, not by telling you what to do or by preaching, but by detailing the results of failure by other parents who have preceded you, and thereby, teaching. This is much of the reason behind me writing my book, Breaking the Code. Please realize that you cannot control what your child sees outside of your house. However, you can control how your child views that which he/she sees outside of your house. This is critical. Remember, every action that your child takes has a root cause in how he/she viewed events in their life. Your child is constantly learning. Everything your child sees teaches him/her something about life and molds their reactions to future events. It is for this reason that I condemned the Times Colonist for its article eulogizing the death of a drug dealer. That article sent the wrong message to our youth just as adherence to some silly “street code” teaches our children poor values. Who will shape your child’s view? Somebody will be shaping your child’s viewpoint. While that child is still young enough, you get to decide whether it will be you doing the shaping along with others of whom you approve or whether it will be you along with others whose viewpoints you consider unhealthy. However you only get to decide that if you know with which other children your child associates and if you encourage certain associations while discouraging others. I will leave you for now with these closing thoughts. They are thoughts authored by someone other than me, but thoughts which I instilled into my own children. Be careful what you see, it becomes what you think. Be careful what you think, it becomes what you say. Be careful what you say, it becomes what you do. Be careful what you do, it determines your friends. Be careful about your friends because you become like them. Something good that is shared is something good that comes back to you. Please comment on this. Give me your opinions and talk to your friends and neighbors. Let’s guarantee you a happy family. You need a family free from drugs and other addictions. Your family needs to be free from gangs, free from heartache over the path your children choose in life, and free from abuse. Then, let’s spread the word to your friends. Tell them about my Breaking the Code website. Ask that they, in turn, tell their friends. Every neighbor or friend to whom you show the light and every friend’s or neighbor’s child whom you help save will be an association that will benefit your own child. Let’s take the world back one family and one child at a time.